By killing Inbox, Google is leaving many users without a comparable fallback solution, even though it's arguing Gmail has the same features as the defunct client. 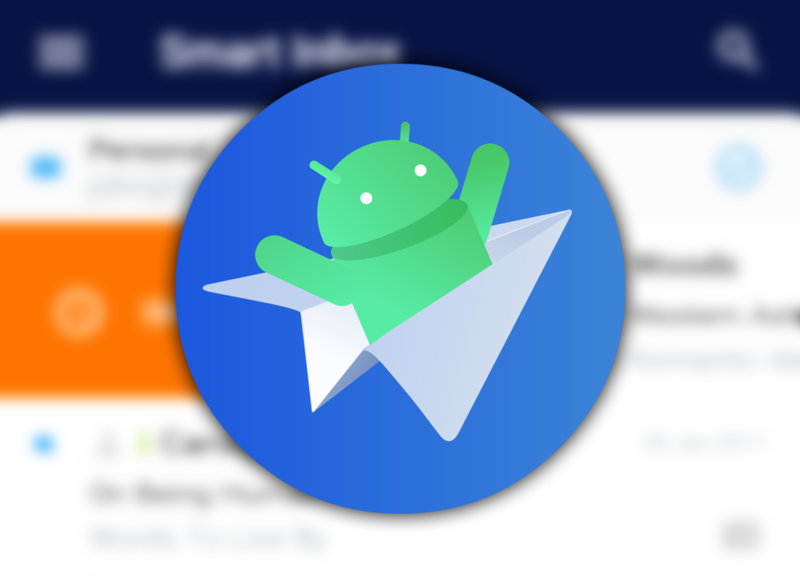 Readdle is using this as an opportunity to bring Spark, its popular email client, to Android with hopes it will fill the gap left by Inbox's demise. I've been using Spark on my Mac for a while, and I'm very pleased with the way it combines advanced functionalities with an intuitive interface, and how it's designed to improve productivity. I've spent some time with its Android counterpart, and here's my take on what it brings, what it lacks, and whether you should consider it to replace Inbox — or your current email client. Inbox's flagship feature was its ability to bundle emails into categories, so you can focus on important messages and go through newsletters when you have a few minutes to spare. Spark wants to help you do just that, by automatically grouping your emails based on their content, with the most relevant ones on top. However, unlike Inbox, Spark will merely show the message's first few lines, instead of intelligently parsing essential information such as flight information, shipment tracking, or photos, and displaying it directly in your inbox. Spark wants to save you time, so if you're the type of person that skims through your inbox without opening every single item, you'll appreciate the option to mark all messages in a category as read in a single gesture. Also, keeping productivity in mind, the app will help you go through long email threads by hiding previous messages under a convenient "Show History" section. Thanks to this handy feature, the app will automatically truncate the text to remove previously quoted emails, which can be annoying when reading messages. Lastly, you can pin messages to access them rapidly thanks to a shortcut, so you never have to look for them again. What I like the most with Spark are the little extras it brings compared to other clients, while still looking neat. Amongst these is the ability to snooze emails for a few hours or even days, to help you focus on more important things in the meantime. You can even choose to be notified when it's time to look at it again, or just have it pop back in your inbox. Similarly, the software helps you remember stuff when you get too caught up: It automatically reminds you to follow up on messages you've sent a while back that have remained unanswered, so you can chase down people who still haven't replied to you. Also, if you have insomnia and like to send out emails at 4:00 AM, Spark helps you hide that from people: A handy feature lets you write emails but schedule them to be sent later, so people don't notice you like to write to them at ungodly hours. Finally, the app makes finding emails easier than ever, thanks to an engine that understands natural language: just write "pdf from max last week" and it'll show you all messages Max sent you the week before that contain PDF attachments — it's that easy. Although the above features look great and some are even more advanced than what Inbox could do, I have to admit they're mostly useful for work-related communication. Talking about business-related matters, Spark makes working with your colleagues a breeze. First, it lets you privately comment on a message and even attach files, without anybody outside your team seeing these. It can also generate a shareable link with your co-workers to direct them to an email outside of Spark. Lastly, the app lets teams write messages together, just like you would collaborate in Google Docs, which is so much simpler than sending out a draft and consolidating feedback people send back. These go beyond what Inbox could do, but, again, I only see them being useful in a work environment. Spark is one of the most customizable email clients around. You can change the items in the side menu to include any section or folder you want, and even divide it into top and bottom sections. Similarly, it offers free-floating "widgets," which are quick access shortcuts to your folders. Also, all swiping gestures are editable to match your liking, so you can rapidly mark items as read, delete, archive, move, pin, or snooze them. Most importantly, it lets you personalize the way notifications work by choosing to display a full preview of the message, limiting it to the subject, or just the sender's name. You can also mute notifications from people who aren't in your contacts list or disable alerts for newsletters. What's very powerful is the ability to define these individually for each email account you're using, because notifications from your work and personal email accounts shouldn't follow the same rules. On top of everything mentioned earlier, Spark has a couple of other great features that make your life easier. It supports multiple signatures and lets you switch between them in a breeze when writing a message. Also, if you're concerned about your privacy, you have the option to restrict access to the app with an additional password or biometrics, which ensures only you can see your email. Finally, being a cross-platform application, everything syncs from one device to another, including snoozed messages, reminders, and account settings, making it easy to manage email on both your computer and phone. Although Spark has a lot to offer, it's not perfect, and there are things Inbox used to do better: Google's experimental client organized messages into clearer categories. It was also easier to access what mattered with the defunct app than with Spark, as the latter only shows the first few lines of a message instead of a preview of the critical information. If we focus exclusively on Spark, I'm surprised the mobile client doesn't have a calendar module like the desktop app. It's not necessarily a deal breaker, but having everything in a single app on my Mac simplifies planning appointments and events, and I would have like to have the same convenience on my phone. Also, because the app is quite comprehensive and customizable, it might take a while for people to get used to the way it works and set it up according to their needs. Lastly, both Mac and mobile apps don't have a dark theme, which would have been a nice addition given how popular night modes are these days. Altogether, Spark is a powerful email client that can do a lot more than traditional apps. It's packed with awesome features that focus on increasing productivity and make managing professional emails much easier. It's similar to Inbox in a sense that it wants to help you prioritize your mailbox and simplify email management, but given its advanced capabilities, I see it more as a business app than one to manage my personal emails. Can it replace Inbox? It depends on what you used it for in the first place. It probably can for a bunch of users, who will appreciate the similarities, while others won't be satisfied by Spark's strong focus on business features. I personally love using it on my Mac, but I'll stick to Gmail on Android for now. My private emails are much simpler than my work ones, and I don't need such a powerful app on my phone for everyday use.